The views and opinions expressed in this article are those of the author alone and do not represent the opinions of any entity whatsoever with which the author has been, is now, or will be affiliated. The unprecedented growth of blockchain technology has made smart contracts a buzzword in recent years. Broadly speaking, a smart contract, as originally coined by Nick Szabo in 1994, is a piece of code “that executes the terms of a contract” on its own. While it can be said that Ethereum popularised the term ‘smart contracts’, the concept of a self-executing contract has been around for a while. The vending machine is often cited as an early example of a smart contract as it is capable of automatically verifying and executing transactions. Once the vending machine verifies that you have inserted sufficient money, it is pre-programmed to dispense your order without the need for anyone to operate it. Thus, smart contracts can be a cheaper and more efficient method of performing transactions. Yet, the true appeal of smart contracts today lies in their deployment on a decentralised blockchain. As a smart contract’s code on a blockchain is public, any smart contract user who is technically proficient can inspect the code to verify that the smart contract will function as stated. Furthermore, a smart contract’s code is immutable once it is deployed. Thus, one only needs to trust the code, and need not worry about any tampering by the smart contract programmer or the other party. This allows transactions to take place in a transparent and trustless manner without the need for intermediaries. The transparency of smart contracts can be contrasted with the opacity of a vending machine, which internal mechanisms cannot be inspected before one makes a purchase. Consequently, a purchaser needs to trust the manufacturer of the vending machine that it will work as intended and the operator to not have tampered with it. In addition, a smart contract transaction on a blockchain is permanently stored in the blockchain once it is verified. This provides an immutable and trustless record unlike centralised databases. The above characteristics make smart contracts a potentially powerful tool across diverse industries, from finance to logistics. As a result, some observers have predicted that smart contracts will replace traditional contracts, thereby removing the need for lawyers. Does this mean smart contracts are a bane for the legal profession? To address this question, it is important to be clear what one has in mind when talking about ‘smart contracts’. The term is prone to confusion because smart contracts can exist on a spectrum and yet it is used to refer to different possible implementations. Advocates of smart contracts putting lawyers out of their jobs have in mind smart contracts where the entire legal agreement between contracting parties is expressed in its code. In other words, code is law and lawyers will no longer be needed unless they are also programmers. The other side of the debate sees smart contracts as code that automate the enforcement or execution of an underlying legal agreement, whether expressly written or not. Most of the smart contracts we see today belong to the latter category and resemble code much more than law. For the foreseeable future at least, it is unlikely that code will be law. There are several legal issues and practical limitations arising from the fact that smart contracts are written in code instead of natural language. This article will briefly expand on two of them. A possible legal difficulty with recognising a smart contract itself as a valid legal agreement is uncertainty as to terms, such as the parties to the contract. Currently, it can be said that a smart contract identifies the parties to the transaction based solely on public addresses, and the respective owners of these public addresses. However, this is unsatisfactory for two reasons. Firstly, the public address in a smart contract transaction may point to another smart contract instead of a wallet with a determinate owner. This information cannot be discerned from the public address alone because the public address of a wallet is often indistinguishable from that of a smart contract. Furthermore, it is also possible for a smart contract to participate in another smart contract transaction. For example, a multi-signature wallet is in fact a smart contract that is controlled by multiple wallet addresses, which may then be used to enter into a separate smart contract transaction. This greatly complicates the task of determining the identity of a party in a smart contract based on its public address because it cannot be assumed that the public address belongs to a wallet with a certain owner. Secondly, even if the public address belongs to a wallet, the owner of that wallet remains pseudonymous and cannot be discerned from the public address itself without extraneous information. Hence, it currently seems impossible to identify the legal persons who are parties to an agreement based on the public addresses in a smart contract’s code alone. This difficulty may eventually be surmounted by the development of blockchain identities. Until then, a smart contract itself may not amount to a valid legal agreement due to the lack of certainty as to the parties. A more practical limitation of smart contracts is their inability to enforce contracts where the performance is tied to a subjective standard. Just as a vending machine relies on mathematical calculations to check if you have inserted enough money, a smart contract’s code relies on deterministic and precise logic to execute its instructions. However, commercial contracts often use language such as “reasonable” or “best endeavours” to provide flexibility. These subjective standards cannot be translated into code or reduced to a formula. As long as there are parties who desire flexibility in their contracts, it is unlikely that smart contracts will replace traditional contracts. There are other interesting issues surrounding smart contracts as standalone legal agreements, such as breach, termination and choice of law, which have not been addressed in this article. However, the above should suffice to convince one that smart contracts are not yet capable of fully replacing traditional agreements drafted by lawyers. On the contrary, the burgeoning of smart contracts offers new opportunities for the legal profession. Instead of replacing written contracts, it is now common for smart contracts to operate in tandem with them. Their complementarity should not be surprising as the original definition of a smart contract presupposes there are existing contractual terms for the code to execute. This hybrid model allows contracting parties to benefit from the legal certainty of written contracts and the efficiency of smart contracts. An example of this is Initial Coin Offerings (“ICOs”), where companies offer digital tokens for sale to the public. A smart contract facilitates the collection of virtual currencies and distribution of the company’s digital token, with a written agreement setting out the risks purchasers assume and the rights they have against the vendor. As a result, the advent of smart contracts has actually created demand for legal services. To meet this demand, lawyers will need to understand and address the peculiar risks associated with smart contracts and blockchain technology. Some of these risks relate to the underlying blockchain which the smart contracts are deployed on. Congestion in the blockchain network can result in a smart contract transaction being delayed. Smart contracts also possess inherent risks, such as vulnerabilities in the code which can be exploited by malicious hackers and result in disastrous consequences. In November 2017, an amateur hacker discovered a vulnerability in Parity’s smart contract for multi-signature wallets. While the hacker failed to obtain any funds, the attempted hack resulted in the loss of 513,774.16 Ether in 587 wallets, worth around USD$162 million at that time. Which party should be liable for the losses suffered as a result of errors in the code of a smart contract? Who should bear the risks arising from delays in the blockchain network? A smart contract will not provide the answers to these questions. It is therefore up to the drafter to protect his or her client’s interests by recalibrating the standard contractual clauses, such as indemnities and force majeure, to address these new risks. The risks that accompany smart contracts are expected to multiply as smart contracts become more complex. An area that is likely to assume greater importance in the near future is the use of oracles. Smart contracts are currently limited by their inability to access real-world information outside the blockchain. Oracles help to overcome this by verifying such information and delivering them to smart contracts. For example, AXA developed an oracle to deliver information from a plane arrival time aggregator to their smart contract for flight delay insurance, which automatically distributes payments based on the information provided. However, oracles also introduce additional risks. Centralised oracles are single points of failure that can be targeted by hackers. While such risks are mitigated by decentralised oracles, an oracle may still malfunction or supply false information by mistake. When such risks materialise, the smart contract may not work as intended and a party may incur significant losses. It is therefore important for lawyers to keep up with developments in smart contracts to adequately address any new risks. Taking a step back, a lawyer’s involvement in smart contracts is unlikely to be limited to drafting. Businesses will also need legal advice on regulatory compliance. While the global spotlight has fallen on central banks and securities law thus far, it is a matter of time before other regulators get involved. Many smart contract projects seek to disrupt existing industries, such as real estate, e-commerce and data storage, which, to different extents, operate in existing regulatory frameworks. In order for these projects to achieve adoption, they will need to offer legally compliant products. As a result, these projects will need the help of legally-trained professionals to ensure that the development of their smart contracts stays within regulatory confines. Smart contracts may also change the way lawyers work within and across firms. While some commentators have gone as far as to say that lawyers will need to know how to code smart contracts in the future, this is extremely unlikely. The more probable scenario is that products and services will be developed that enables lawyers to integrate smart contracts into their work without sweating the technical stuff. For example, OpenLaw seeks to assist lawyers in the negotiation and execution of legal agreements, as well as the integration of smart contracts to automate certain aspects of the written contract. In the demo provided, a user only needs to fill in a standard form to generate a smart contract that is incorporated into the written agreement. The ability of smart contracts to create immutable records on a blockchain may also be used to assist notaries in proving provenance and authenticity of documents. Across firms, smart contracts and blockchain technology may be used to provide a secure and efficient platform for storing and accessing information. This can help to streamline legal processes such as discovery of documents. There is no doubt that smart contracts have caught the attention of the global legal industry. This is underscored by the fact that many of the largest global law firms have partnered with initiatives such as the Ethereum Enterprise Alliance and the R3 consortium’s Legal Centre of Excellence to better understand how smart contracts and blockchains work, and their implications on the law and legal business. Collaborative and educational initiatives, however, are not the only way to be acquainted with smart contracts. As smart contracts and blockchains represent a new paradigm in technology, the easiest and quickest way to understand them is often to engage with the technology personally. After all, most of us learnt to use the Internet by using it instead of reading up on what URL or HTTP means. Technological developments, such as artificial intelligence and smart contracts, are often portrayed as competitors of the legal profession. Rather than displacing lawyers, the truth is such technology often ends up positively disrupting the way lawyers work while creating demand for legal services. Therefore, there is no reason why lawyers should not see smart contracts as a boon for the legal industry. Need legal advice on smart contracts? If you are in need of legal advice, you can request a quote with Gary Tse or get a Quick Consult with other lawyers. From a transparent, flat fee from $49, you can expect a call back within 1-2 days and get your questions answered. 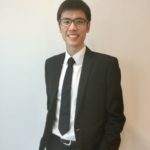 This article is written by Gary Tse from Taylor Vinters Via LLC and edited by Seah Ern Xu. Gary Tse is an Associate at Taylor Vinters Via LLC. His practice area is in technology, corporate and commercial law. An avid self-taught programmer, he has a keen interest in how the law shapes technology and vice versa.